Looking for a gorgeous getaway with lots of luxury and complete seclusion in a private nature reserve? Log House Holidays has been a designated a Special Site of Scientific Interest (SSSI) since 1991 for its unusual habitat and wide range of inhabiting species, so our lakeside log cabins make the perfect place to bird watch. With just 8 uniquely styled luxury log houses carefully hidden around this unspoilt 130 acre Cotswold lake, you’ll be amazed at what you might spot; from bittern to king fishers, terns to ospreys and nightingale calls on a still summer’s evening. Take the binoculars from your cabin and see what you can find in your own rowing boat, or see what passes by as you unwind in your lakeside hot tub. So pleased to have spotted the kingfisher darting across the islands. Look forward to coming back again next winter in search of the bittern! The lake and its surrounding reed banks and woodlands is teeming with wildlife from the 17 varieties of dragonfly to the over-wintering waterfowl. From both Moondara and Island Lodge, you can watch the tern colony that we have established on the gravel islands. Although rare to most other lakes, we have a large population of great crested grebe, which offer true theatre when mating season arrives as they dance on the water with their partners. The many reed beds that are now well developed around the lake are the best place to spot both heron and occasionally, bittern. 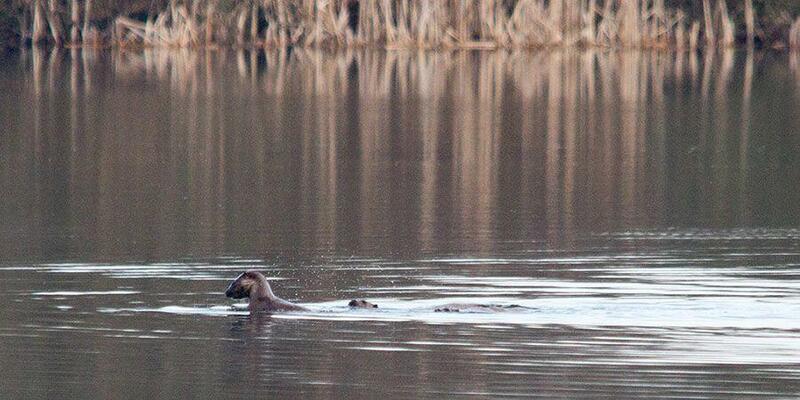 Most recently, we have been blessed with a resident otter family that has offered some fantastic sightings for our guests. Other regular spots include native British woodland mammals such as muntjack and roe deer. This site was also designated a SSSI for the unique flora and fauna that has been established here over the years and we are constantly promoting new areas of wildflowers across the site – so there’s much to see on a spring cabin holiday and all through the year. 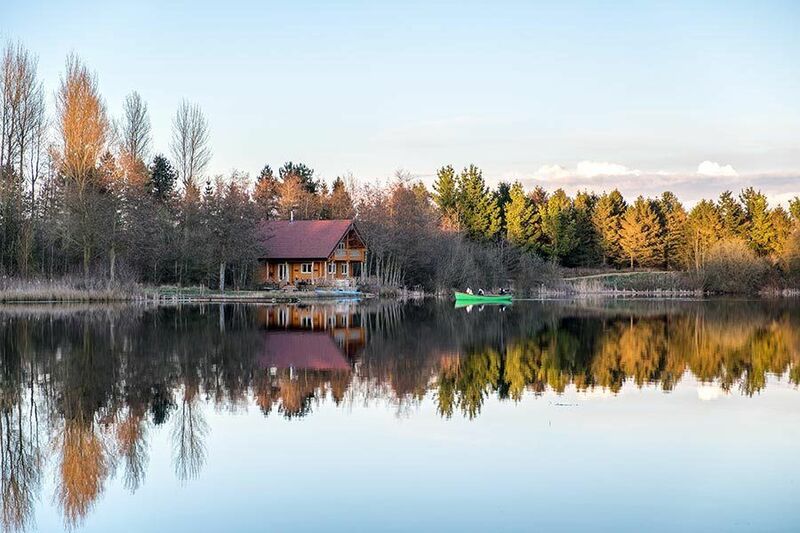 All 8 of our lakeside houses sit right on the water’s edge in their own secluded area of the lake. Each boasts a large decking area and pier – a brilliant place to spend time outside enjoying the sights and sounds of the surrounding nature reserve. Sunken into your decking you’ll also find your own traditional wooden hot tub where you can truly unwind in style. Inside your retreat there are modern fully equipped kitchens and stylish bathrooms with soft luxury white towels. Being designed for Scandinavian winters, your cabin is more than cosy enough in the colder months and the Clearview wood burner will create the perfect atmosphere for romantic getaways on a winter escape. Our bird watching cabins are also finished with a lake view hot tub, outdoor fire pit and spacious veranda complete with wooden benches, a swing and ample seating area to sit outside and nature spot.